"You're one smart cookie!" I always loved that phrase (wonder why?). Last year, when Jack graduated from high school, I found cards at Trader Joe's that said just that. 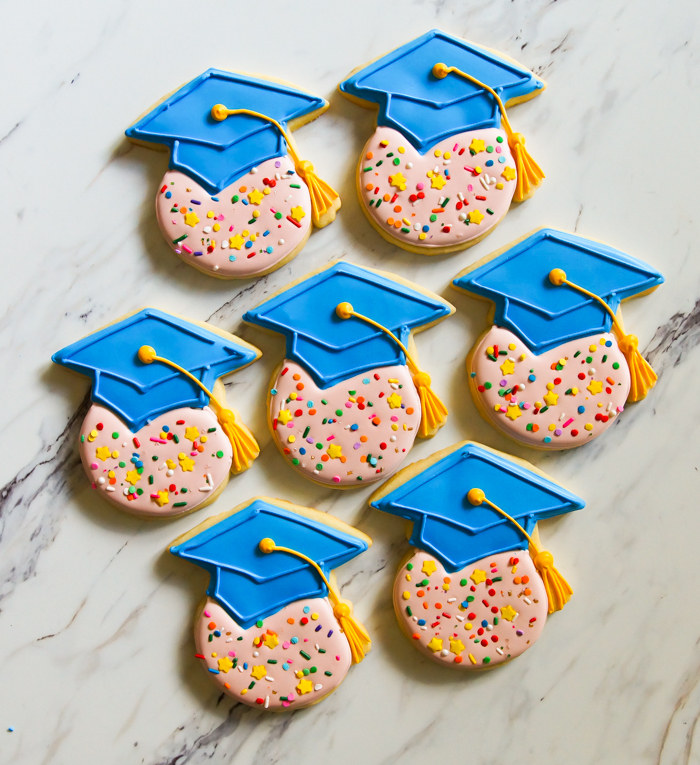 The illustration was a cookie wearing a graduation cap. I'm thinking we may do that every year. 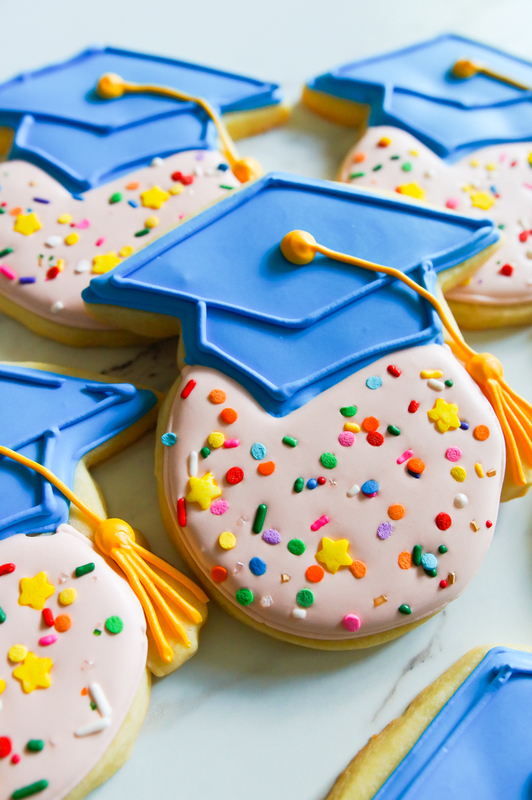 I have visions of myself in my 80's bringing a box of cookies with me to the graduation ceremony. Like I said, though, this could be a very short-lived tradition. Ha. 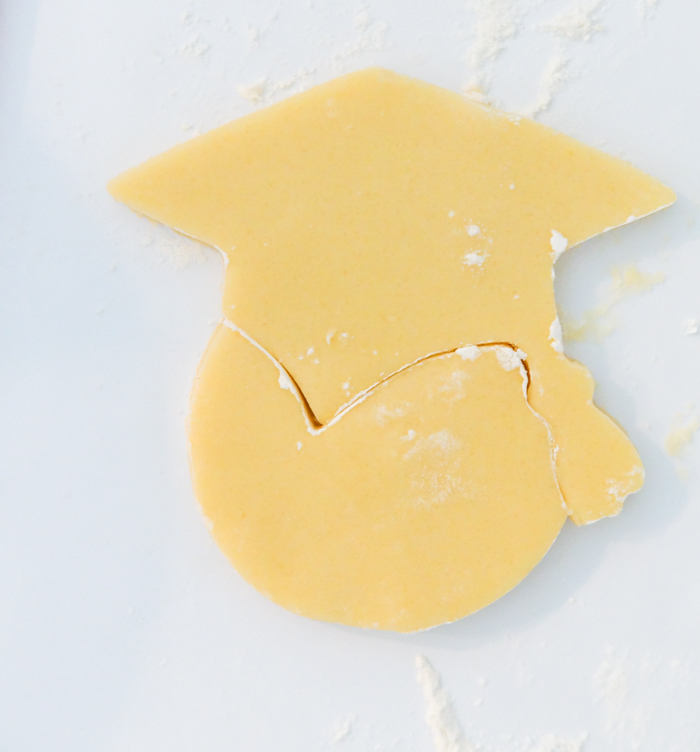 Once you have both pieces cut out, use the graduation cap to cut the circle where the two cookies will meet. 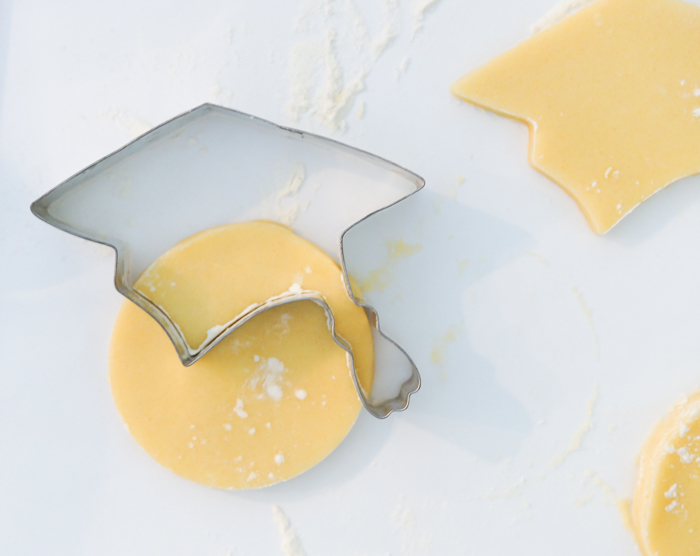 Place the shapes together on a parchment-lined cookie sheet and FREEZE for 10 minutes before baking. 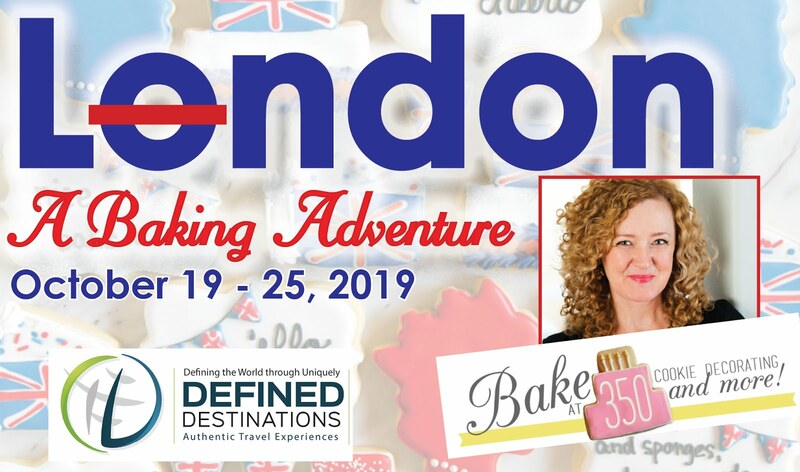 Then, bake as usual. 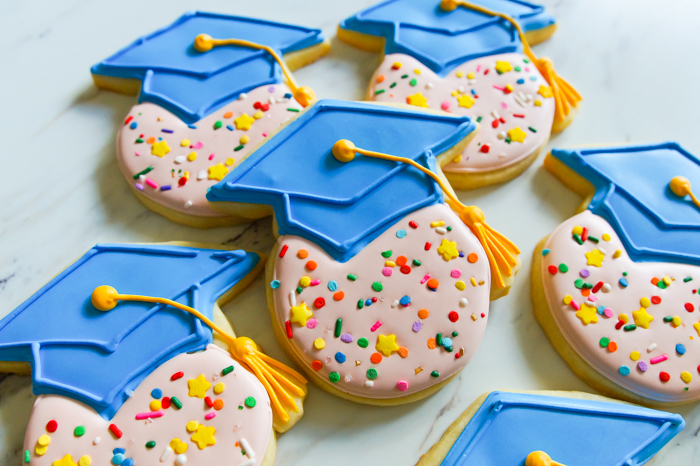 As for colors, I used Americolor Warm Brown for the cookie, Chefmaster Royal Blue for the cap (use whatever color corresponds to the school), and Egg Yellow for the tassel. 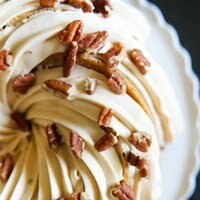 Here's the recipe for royal icing. 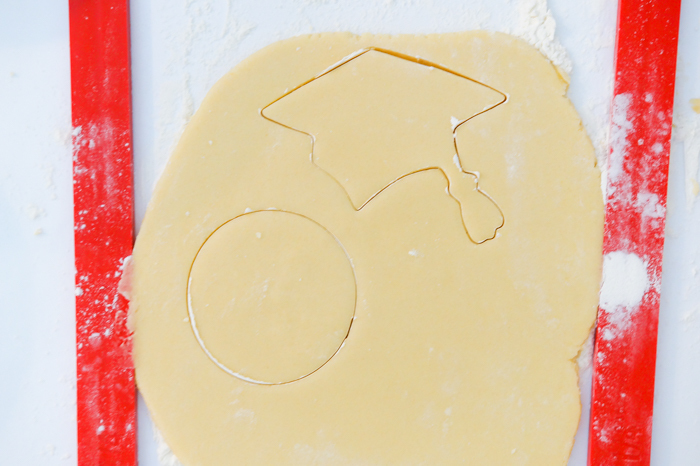 Use a #2 tip to outline the cap area of the cookie in blue. Reserve some of the piping consistency icing for later. Use a #2 tip to outline the cookie in brown. Thin the remainder of the icing with water, a bit at a time, stirring gently. 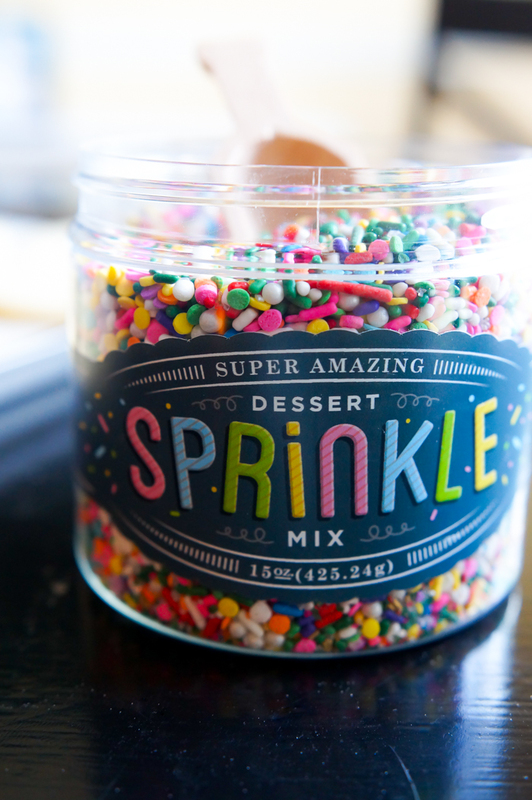 Thin until a ribbon of icing dropped back on itself disappeared in a count of "one-thousand-one, one-thousand-two." Cover with a damp dish towel and let sit for a few minutes. Stir gently to pop large air bubbles. Pour into squeeze bottles. 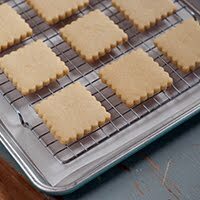 Fill in the outlines of the cookie section, using a toothpick to guide to edges and pop air bubbles. 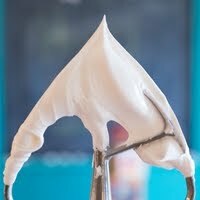 Repeat the thinning process with the blue icing. Fill in the cap. After about an hour, add the details to the cap in blue and yellow icing. Easy peasy! 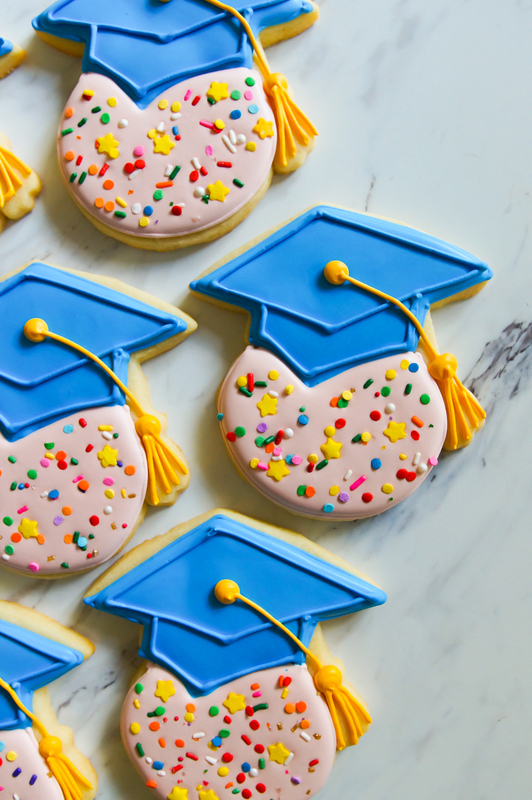 Smart cookies for your smart cookies! 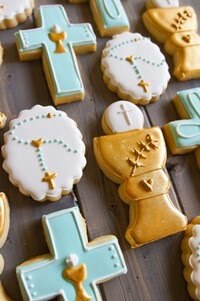 I love this tradition and the cute cookie. 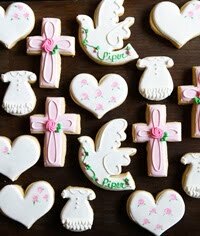 These cookies are simply adorable! So cute! 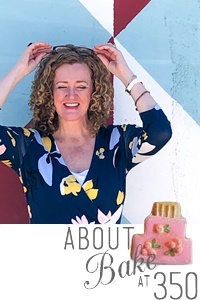 The cake is unique. Looks like it looks like a bachelor's hat.